Launched twenty years ago, the Nokia 3210 was a hugely popular mobile phone that helped to define what consumers expected from such a thing. Easy to use, cute to look at and quite a lot of fun as well, the 3210 came at a time when the mobile market was really beginning to take off. One of the most notable features of the 3210 was that it had an internal antenna – one of the very first phones on the market to offer this. This lead to a more elegant design, and it had the practical advantage of not snagging on things like phones with a stick-out bit did. Although the phone only had a quite small monochrome display, you could easily brighten the 3210 up with changeable covers. There were three pre-installed games including the legendary Snake. There was a ringtone composer for making simple monophonic tunes, and the SMS functionality had a few graphics thrown in for good measure. On top of that, the 3210 was robust and a single charge could give it enough power for more than a week’s standby time and hours of talktime. 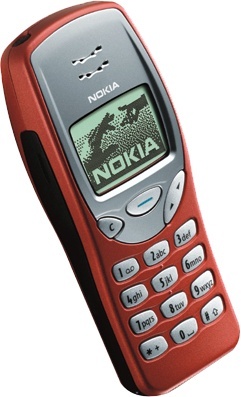 A year later the Nokia 3310 tweaked the formula with a more compact design, which was also a huge success. Both the 3210 and 3310 ended up as iconic devices for the growing consumer market, and today an unlocked 3210 in good condition can cost you about £35 or so.